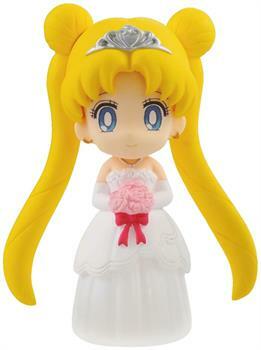 2014 marks the 20th anniversary of the classic Magical girls series, SailorMoon! The popularity and pervasiveness of the series is unparalleled in the world of Magical Girls Anime. It having been one of the first Shoujo series Anime fans of our generation was exposed to, this "first love" is both unforgettable and impactful. Needless to say, many young girls found courage and enjoyment from the series and regarded the Sailor Senshis as their friends while growing up. With the celebration of Sailor Moon's 20th anniversary, a slew of merchandise and even a new anime has been produced to rekindle the flame in every Sailormoon fan!